Testing is the first and most important step for well owners, or for any consumer concerned about water quality. 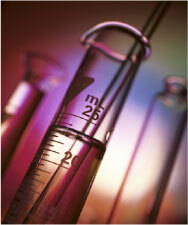 It’s recommended that a certified laboratory be used for water tests. any time, it makes sense to immediately test for bacteria. Option 1 – Some laboratories offer a delivery and collection service. You place an order via phone or e-mail. Sample bottles and packing box are sent to you with sampling instructions. You take the sample, send it off via mail or courier service and the results are e-mailed, faxed or mailed to you within a few days. Option 2 – Use a local certified laboratory. You may stop-by the lab to pick up sampling directions and sample containers. Collect your samples and deliver them back to the lab. Results will come by mail, fax or e-mail within a few days. Option 3 – Engage the services of a certified laboratory to come to your home and take the water samples.